We are having wrapping workshop at book & cafe NENOi (Tokyo, Waseda). If you have an interest, please e-mail us at info@nombre.jp. 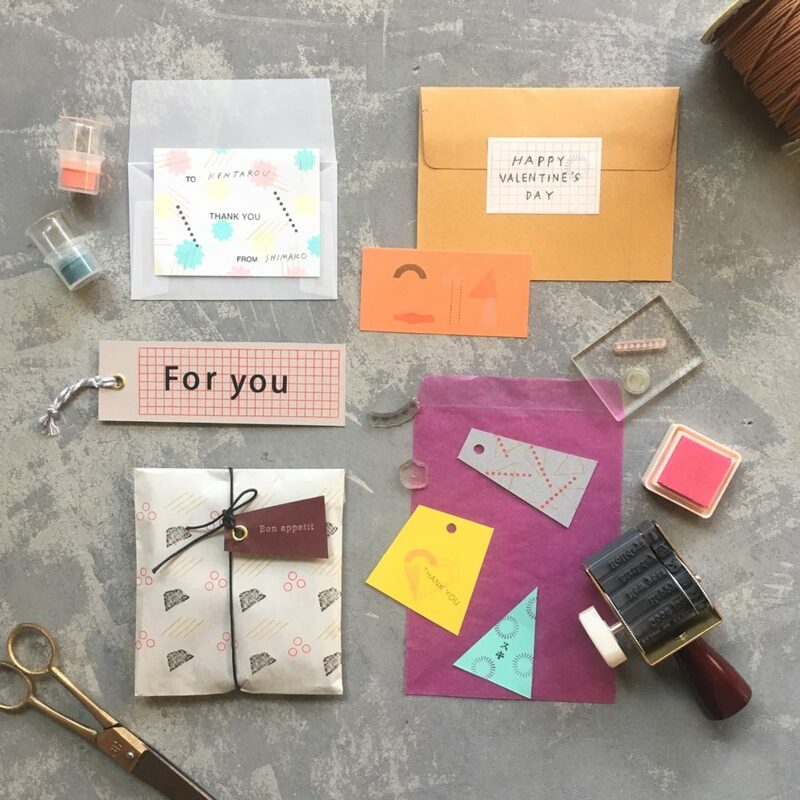 Let’s have fun crafting with our stamp collections!